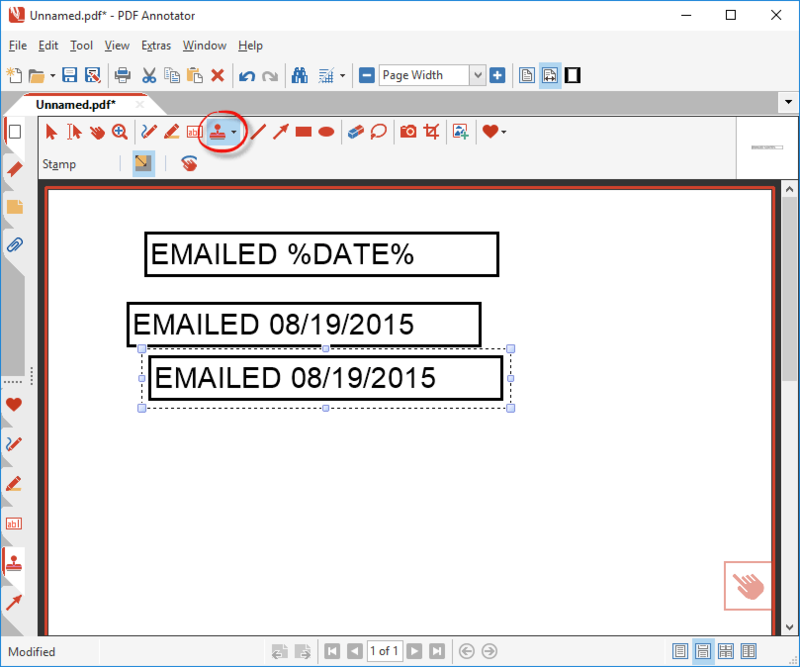 You can create your own date stamps in PDF Annotator! 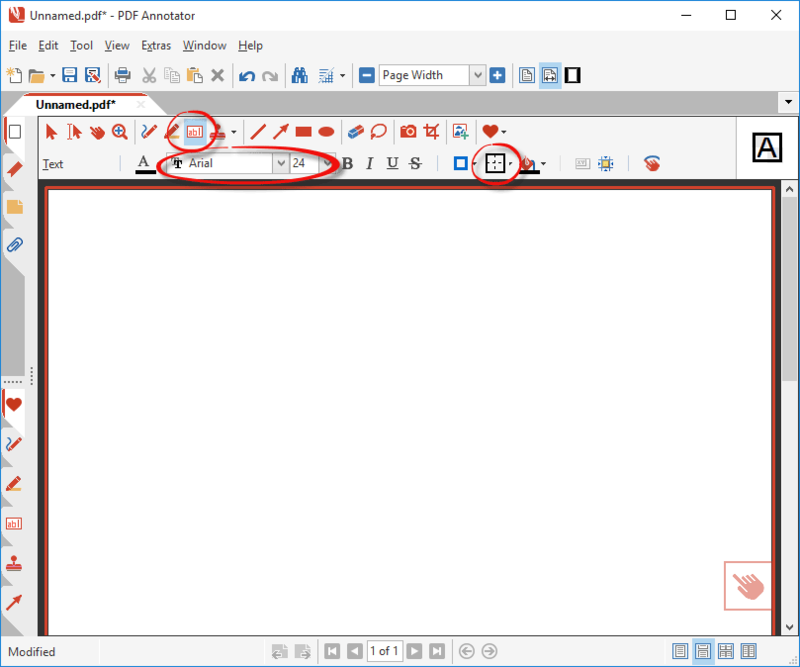 When you browse the Stamps toolbox, you will see that PDF Annotator comes with a number of predefined date stamps. 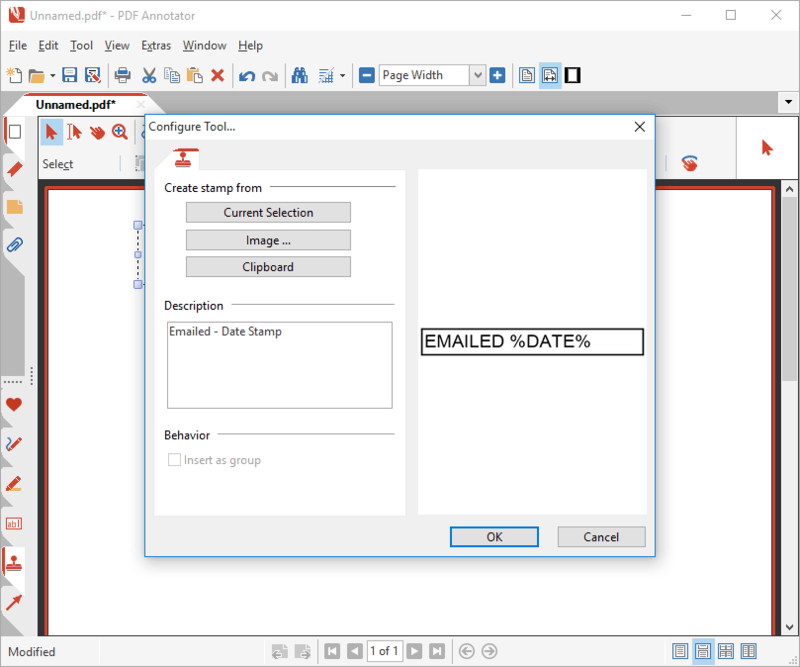 Those stamps automatically insert the current date when placed on a document. 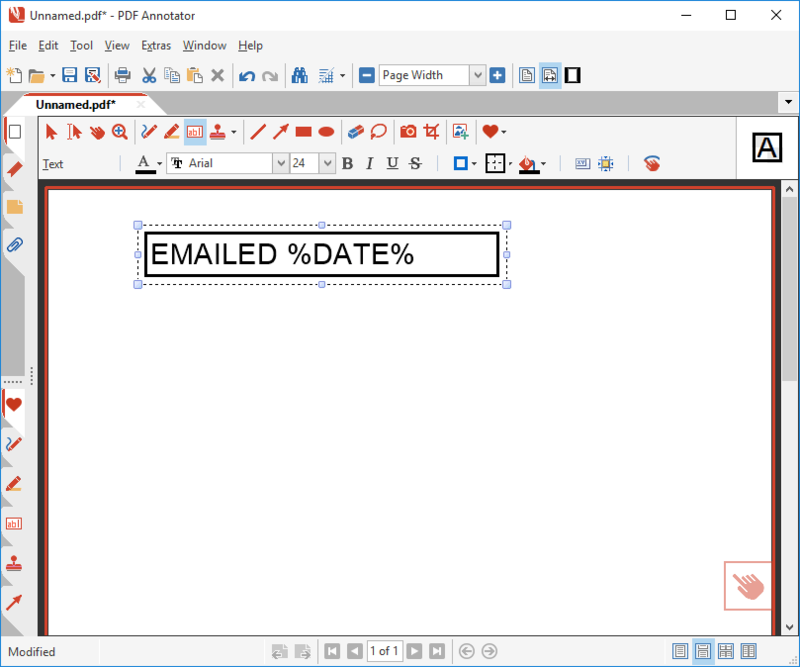 If you need your own variation of a date stamp, for example with your own text part, you can create one! 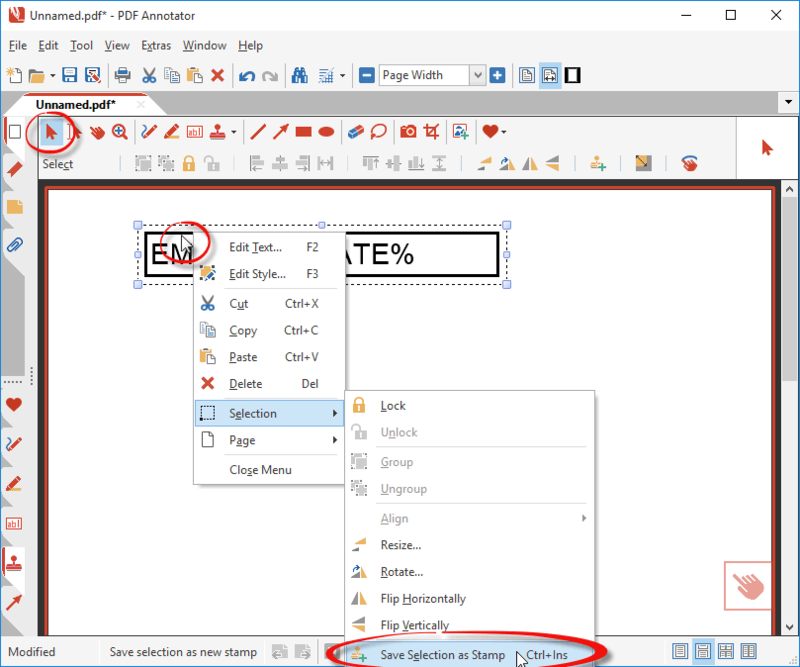 This is not an officially documented feature in PDF Annotator, but we'll show you how it works. We enter the custom text we want to include in our date stamp. In the place where we later want the current date to appear, we enter this magic text: %DATE%. 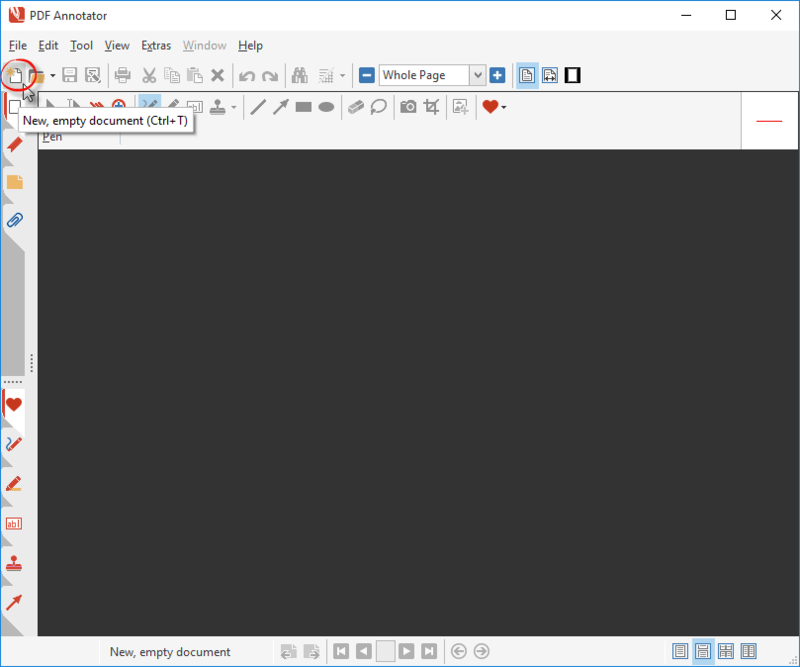 Finally we increase the width of the text box (by pulling the middle handle on the right), so that the date will fit into the box when the magic placeholder will be expanded to the current date. As you see, the magic placeholder we inserted, will automatically be expanded to the current date.